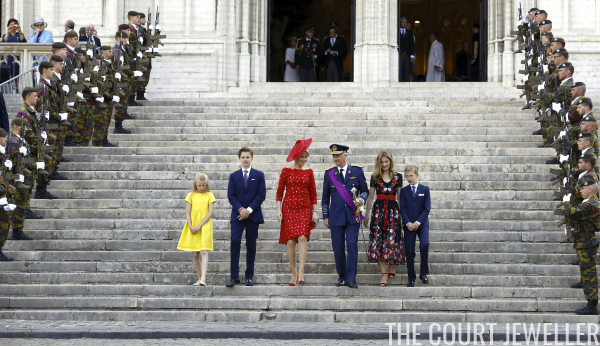 On Saturday, Belgium celebrated its National Day, and the royal family gathered for several events to mark the occasion. Here's a look at some of the jewels we saw on the day. On Friday evening, the festivities kicked off with the annual concert in Brussels. 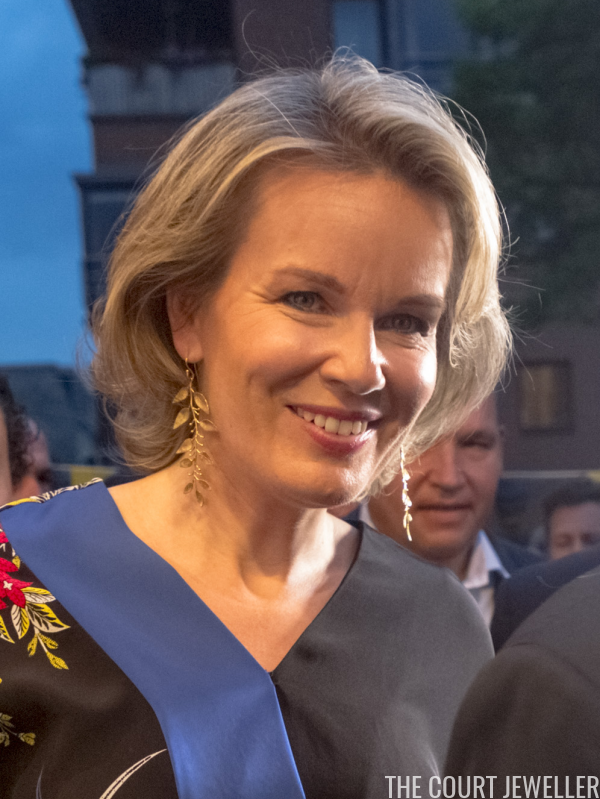 Queen Mathilde chose a lovely pair of golden statement earrings with a leafy design. These managed to be both eye-catching and delicate. 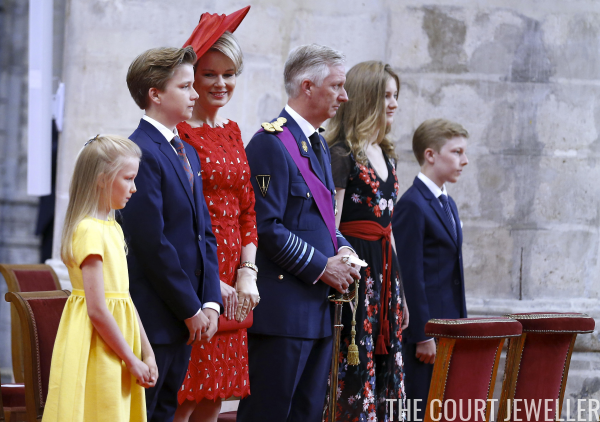 On Saturday, the family gathered at the Cathedral of St. Michael and St. Gudula in Brussels for a Te Deum service. 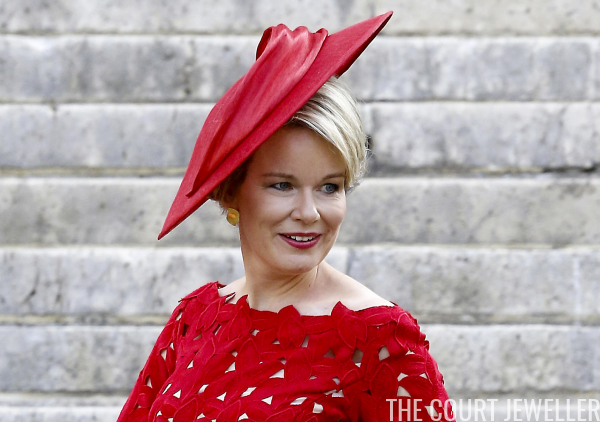 Mathilde reached into her collection of golden earrings to accessorize her red ensemble for the mass. The gold and red combo neatly reflected colors from Belgium's flag. 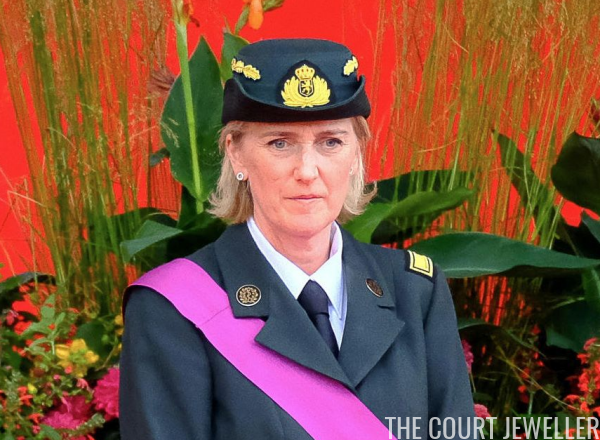 She wore the same outfit for the military parade that followed. You get a good glimpse of her golden charm bracelet here, which rested just above her watch on her left wrist. 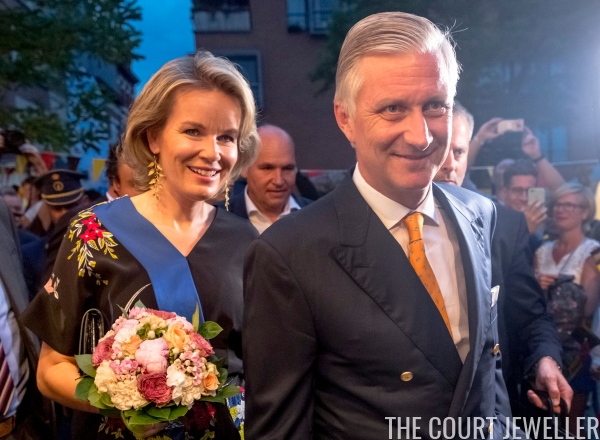 For the mass and the parade, the Duchess of Brabant wore a lovely pair of pearl stud earrings. 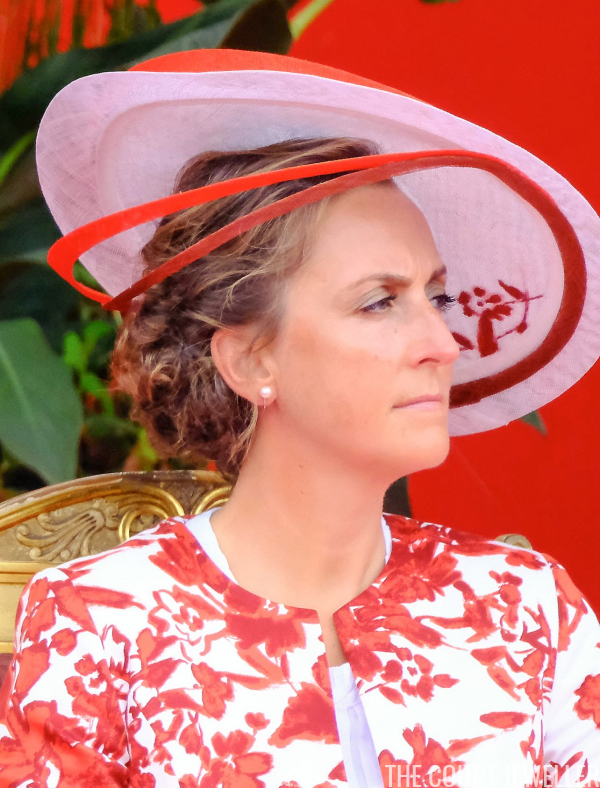 Princess Astrid, who always wears military uniform for this event, accessorized with a simple pair of stud earrings in a silvery tone. 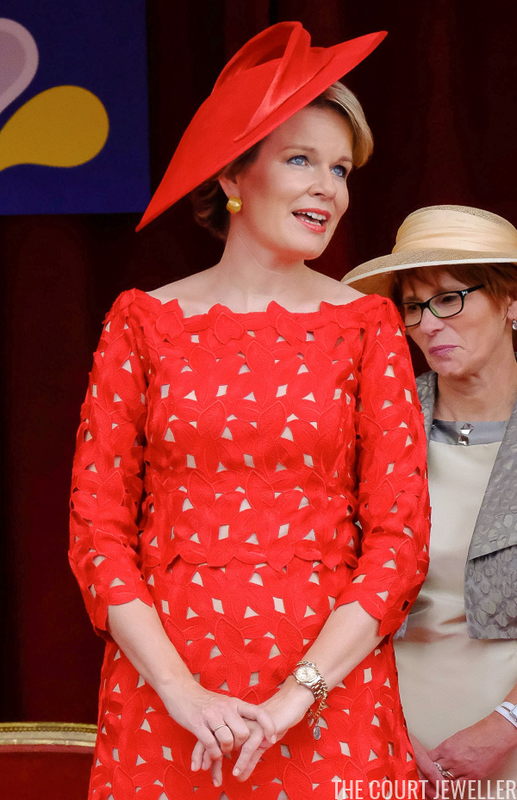 And Princess Claire joined her niece in wearing pearls for the parade. 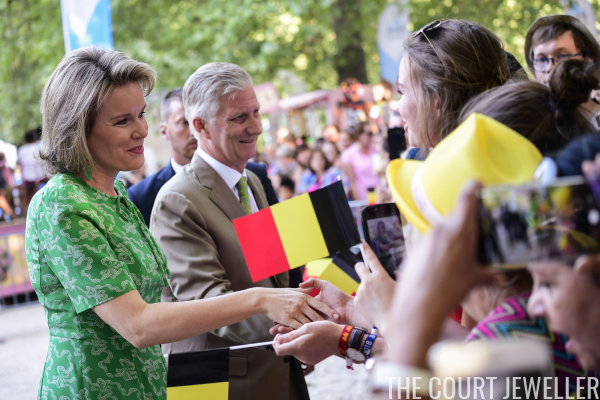 Saturday's celebrations wrapped up with the annual Party in the Park in Brussels. 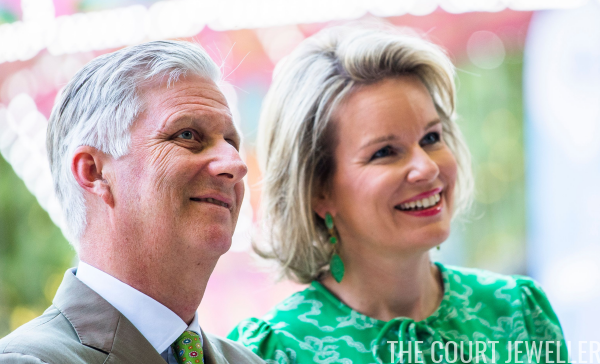 Mathilde wore a pair of green earrings that matched her dress for the party.